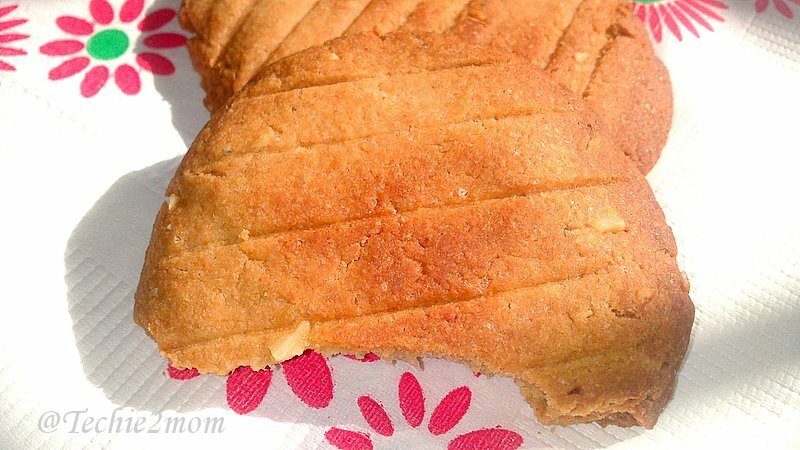 I have been trying to make cookies since some time now, but my cookies tasted more like Sakkarpara ( Goodpara).Yes I love Sakkarpara, but I still wanted to make cookies!!! Yes, I am stubborn that way, can’t get over a mis-adventure, even if the outcome was delicious. So I continued to dream about the perfect, melt-in-your-mouth, tasty cookies!!! And then I came across this recipe of Almond Cardamom cookies on Nag’s Edible Garden (who in turn had this adapted from Manjula’s Kitchen)…And when Nags asked me to do myself a favor and bake these tasties ASAP, i had to obey 😉 and the best thing about them (apart from being tasty) they are also healthy with whole wheat and no baking powder!!! 1) Mix all the dry ingredients (i.e. wheat flour, sugar powder, salt-if using, almonds and cardamom powder. 4) Pre-heat the oven to 150 degree C.
8) Bake the cookies at 150 degree C for 25 minutes (time may vary depending on your oven). 10) Take out and cool on wire rack. Store in an air-tight container and enjoy!!! I enjoyed mine with my evening milk and a book 🙂 and oh, Zini had them in the morning!!! 2) I also tried replacing, cardamom powder with Vanilla powder, these cookies too were okay. But i think, next time I will add at least 1 tablespoon of Vanilla powder for improved flavor…. Next Post: Aalu Methi | Potato Fenugreek Curry – Simple yet yummy!!! Thanks Nilu!! They indeed taste delicious if you like Cardamom!! Hi if I dnt have a baking tray where do I place the cookies for baking in convection mode in microwave…..on the wire rack or glass turntable…. Thanks a lot for the recipe. 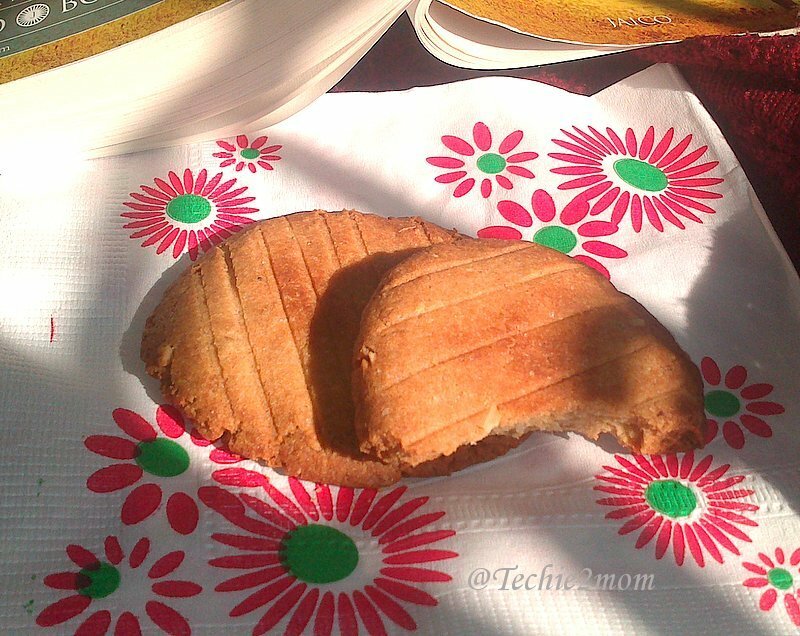 ..help me to make atta biscuit for my lil girl…specify the mode n technique as my first attempt was a flop one..